First things first: a massive thanks to Mark Pearce at Stirling's and Jamie Garside at Eurolease for working during bank holiday hours to get this deal done. Would recommend them both until the cows come home! Brilliant service. 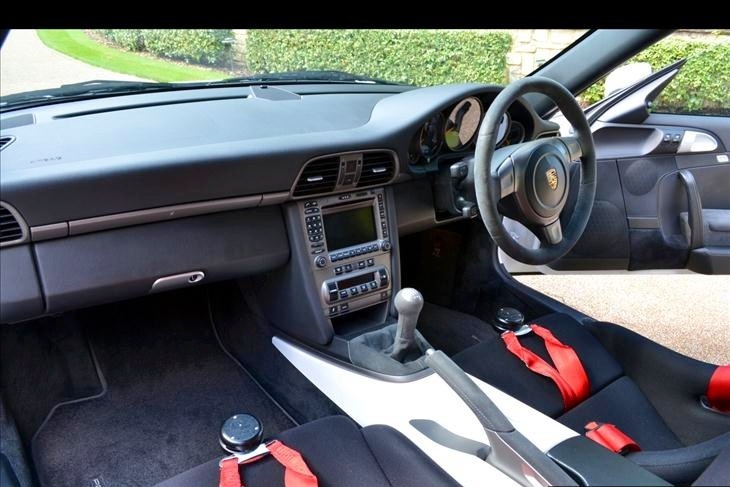 As for Club Sport spec I just had to have this - just look at those seats.. They're also not uncomfortable in the slightest. Personally speaking this was a must as was the colour white. 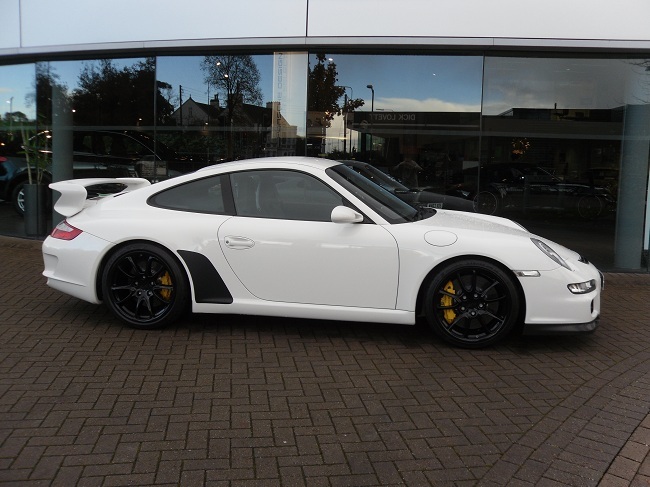 I also loved this examples coloured centre consol bit in white - just how I would have spec'd her at the Porsche dealer. I'm so pleased. 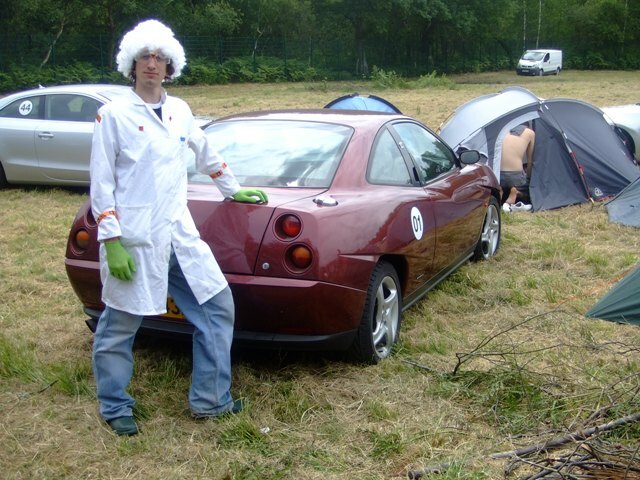 When time permits I look forward to seeing some of you fine chaps at events over the coming years. A big beaming smile is coming through with your words, no need to ask just how happy you are. Once you've tried sports seats nothing else will do. Black wheels Mine was ordered from the factory with black wheels and the clear stone protector was replaced with black version. 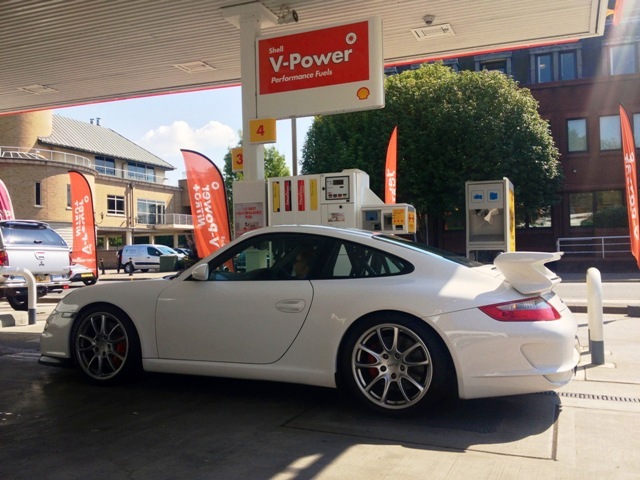 Are you sure it is Carrera white, and not Carrara white? I know, stupid idea having a colour which looks like a misspelling of a model name. It will all be different when they put me in charge. My June 2007 is Carrara white. 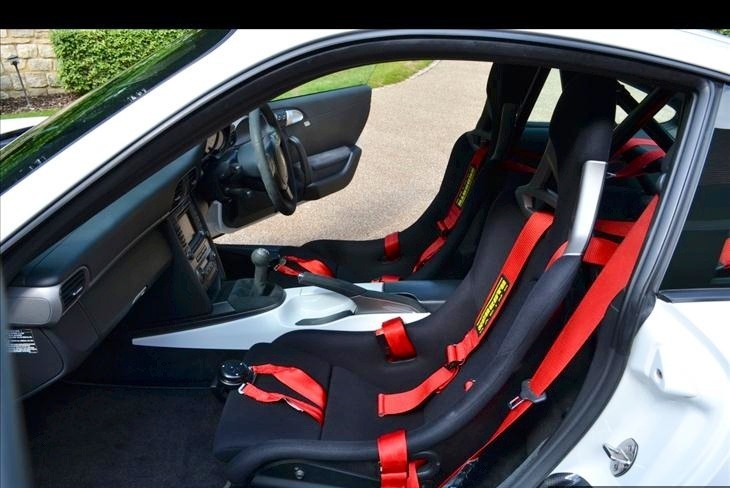 As you enter the GT3 - with these club sports seats - its very easy to kinda jump in. Big mistake. The seats are as forgiving as a small girl and every passenger who has entered thus far has left with severe bruising. Congrats Freddie - she looks amazing. This GT3 lark is slowly but surely beginning to bite me on the backside. I still have the same precept as you did in that it's just a jumped up C2S....? As for the wheels, yes black (ask Roro from the 911uk Styles Team for advice on which back tho'...!) but left with the silver rim on the circumference to emphasise its presence (otherwise black wheels just get lost with the tyres imo). Looking forward to seeing it in the flesh one day. No doubt you're going to make use of the sunny weather we have forecast for the rest of the week! Now get yourself on the Goodwood track day - a place has just come up. Thanks Maxie - it is like 'chalk and cheese' as they say. I was always very respectful of my C2S but this is on another level. Perhaps it's just early days at the mo but I feel like it demands serious respect from the driver. First full tank going in at lunch..
Fiat Coupe? Nothing wrong with that! Still captures my attention when I see one on the road. Great cars, I'd love to have a drive of the 20v Turbo LE one day. Looks great in white, and I think black wheels would set it off nicely (bit meaner look)!